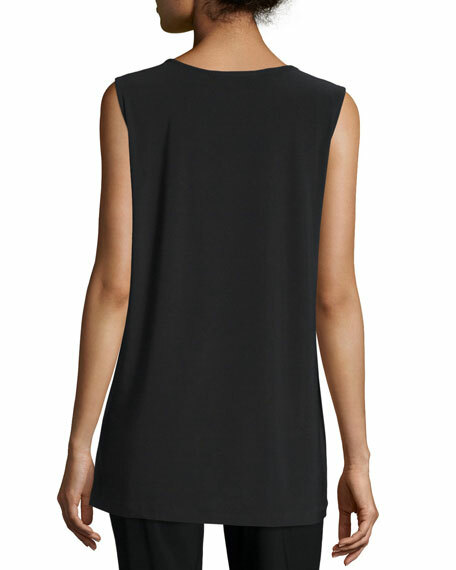 Wearable as a tunic or top, this Caroline Rose tank is lightweight, comfortable, and resists wrinkles. Longer length provides flattering full coverageperfect over leggings. Approx. 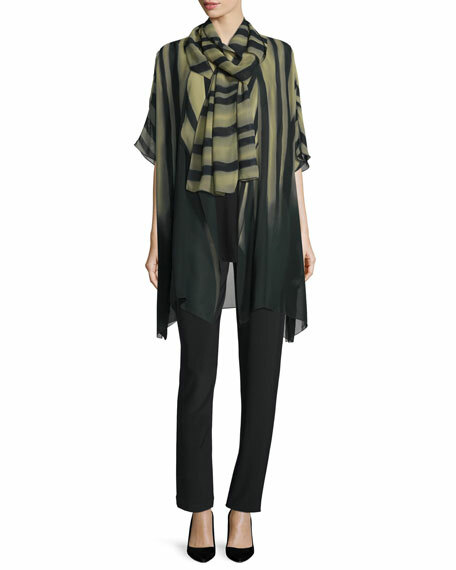 length: 25"L from shoulder to hem; 30"L down center back. Slight A-line design floats over the body. 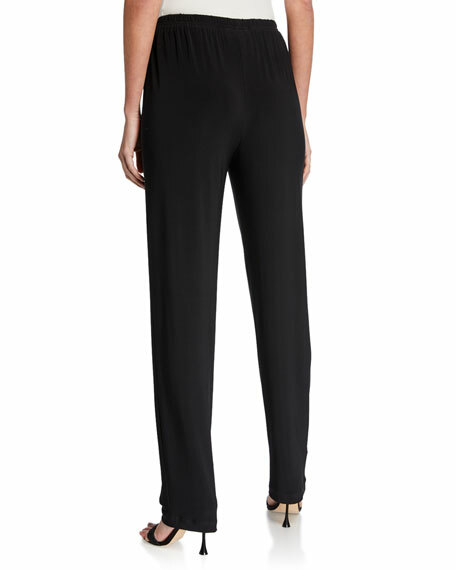 Caroline Rose stretch-knit jersey pants. Approx. measurements: 9" rise, 30" inseam, 42" outseam, 14" leg opening. Polyester/spandex; dry clean or machine wash cold. 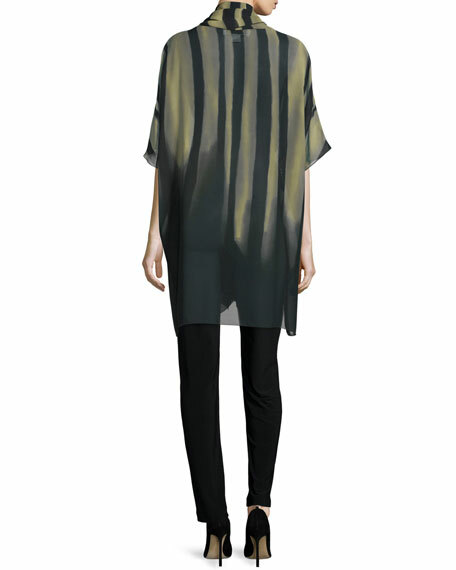 Model's measurements: Height 5'11"/180cm, bust 33"/84cm, waist 24.5"/62cm, hips 34"/86cm, dress size US 2.